Peace, hello my loves, how are you today? 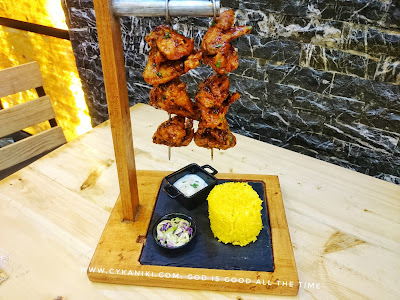 I will be sharing to you the latest food trip that I had. 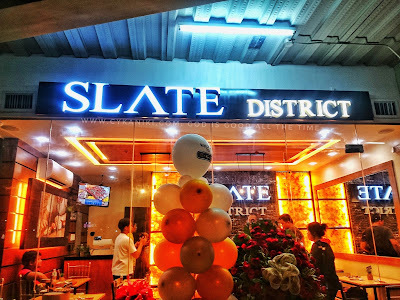 So blessed to be invited to the soft opening of Slate District restaurant which is located at Parkmall Alfresco Area, Ground Floor Cebu. Slate District started as a dream of a little girl who wanted to own a restaurant when she grows up. Jackie Yu-Lua was determined to make her dream into a reality that she pursued a culinary arts degree. As fate have it, our little girl feel in love with Shane, who worked as a chef in a 5-Star resort hotel. They both love cooking and hosting parties for their friends. They started a small catering gig serving packed lunch for groups. The couple got a lot of positive feedback from clients and friends which encourage then to put their own restaurant. Slate District got its name from a type of rock. Slate is the finest grained foliated metamorphic rock. 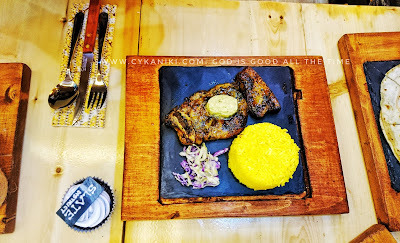 It is a flat-type of rock and the owners thought that they could use it as a plate for their delicious dishes. 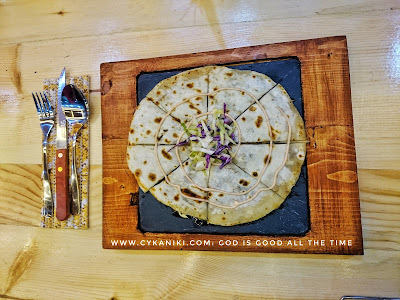 For them, having a black hard slate as a plate has a certain elegance and uniqueness to it. That is how they came up with the name of their first ever stand-alone restaurant. Slate District serves a lot of mouth-watering specialties at super affordable prices. First among their specialties is their Pork Sisig Sarap. 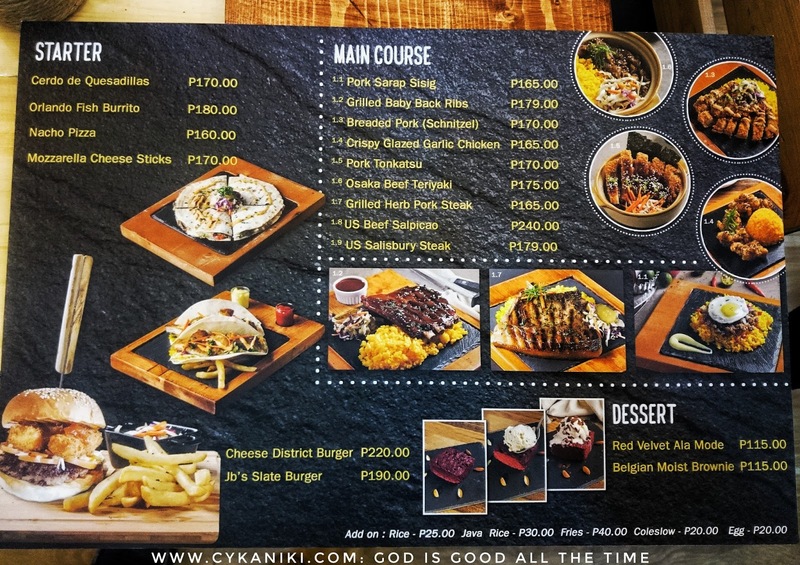 The family owns a chain of food carts that serves this Pinoy favorite and they are bringing it in their new restaurant. 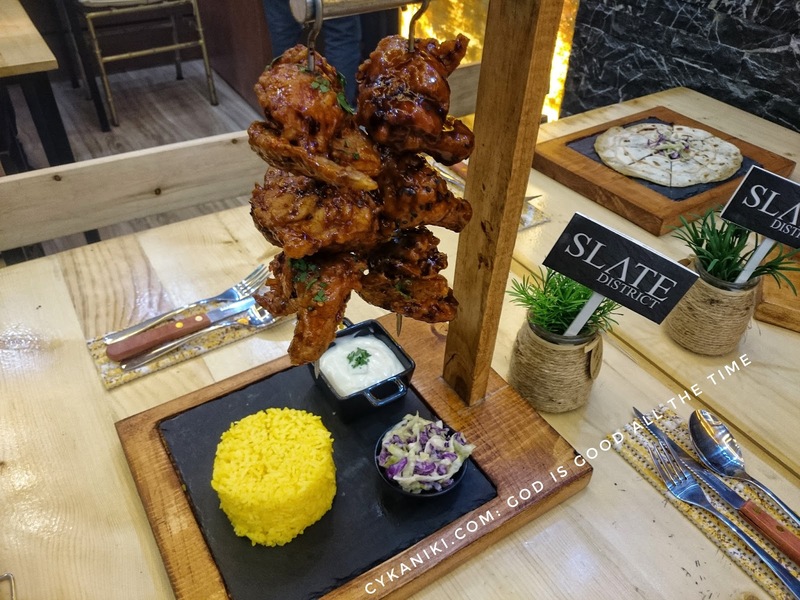 Their JackSlate Chicken is a buffalo wings dish that is served as a hanging chicken. They also serve wonderful pork specialties like Grilled Baby Ribs, Grilled Herb Pork Steak, and Tonkatsu. 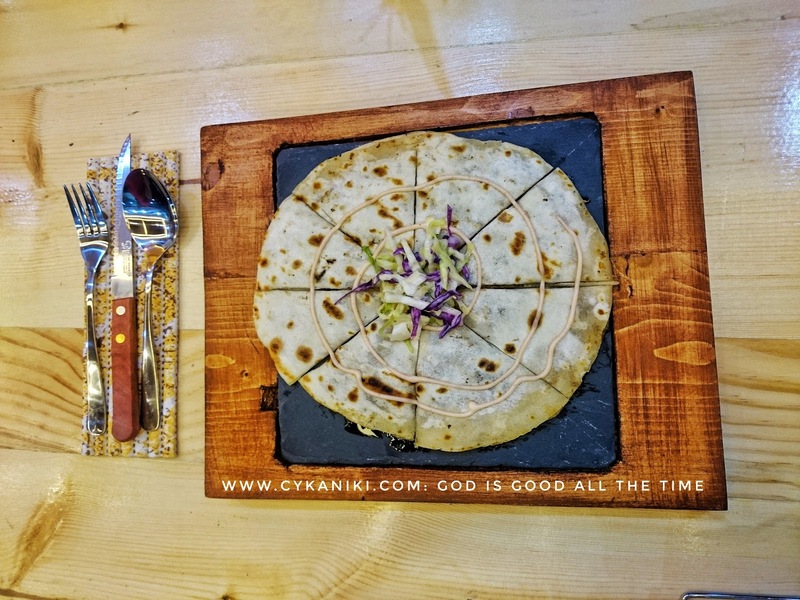 Our pescatarian friends can enjoy their Orlando Fish Burrito that has been inspired by a similar dish that they tasted when the couple traveled to Orlando, Florida, USA. 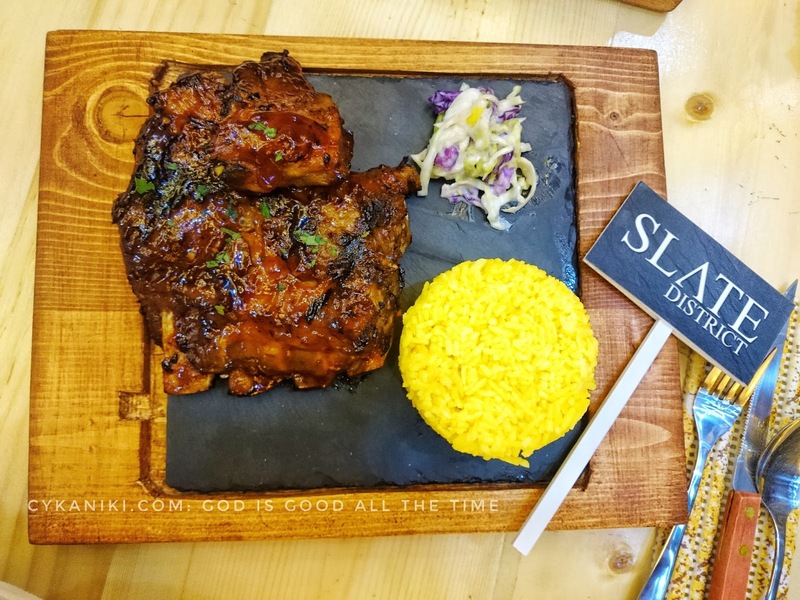 The aim of the owners is to make Slate District a go-to place for people who seeks the ultimate comfort food. They choose the best quality of ingredients while maintaining a price point that can be affordable to students and young professionals. The food is presented to be pleasing to the Instagram generation. In line with this, the restaurant interiors were designed to attract the trendy crowd. 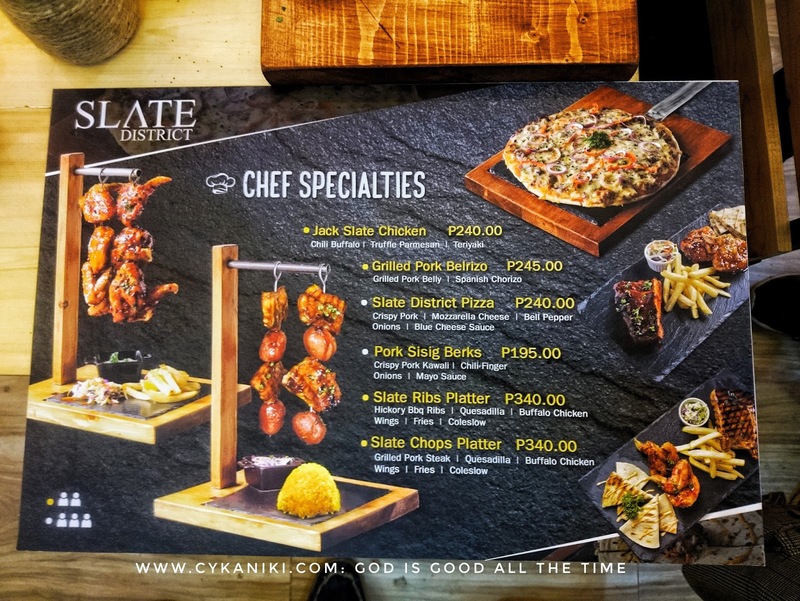 To celebrate the opening of this new restaurant, Slate District is offering an All-You-Can-Eat Grilled Herb Pork Steak for only 299 pesos. 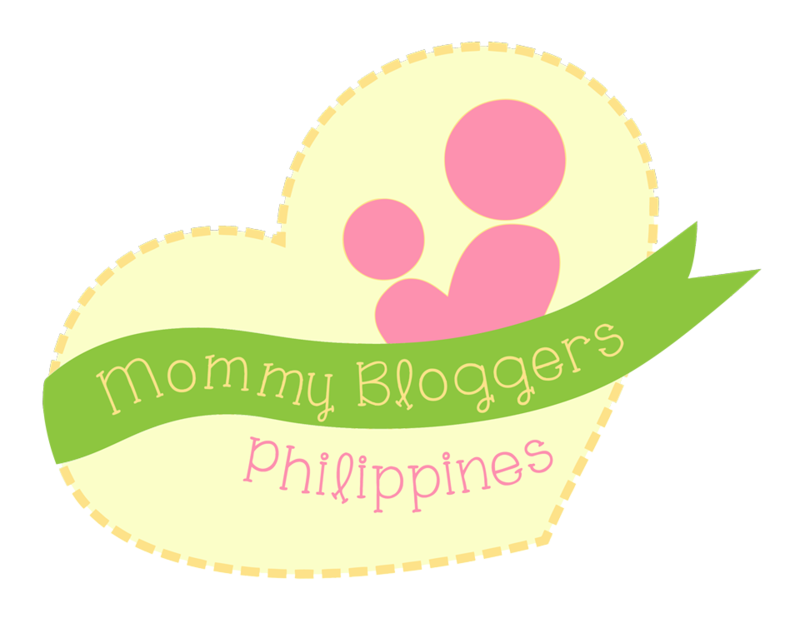 This includes unlimited servings of rice and one round of their house blend iced tea. Slate District is located at Ground Floor Alfresco Area of Parkmall, Mandaue City. 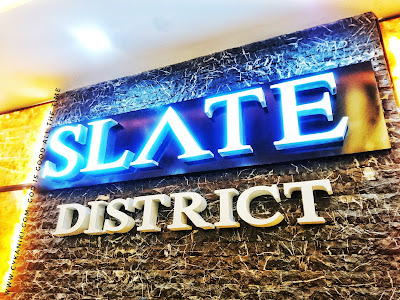 Visit https://www.facebook.com/slatedistrict/ and follow @SlateDistrict on Instagram for the latest updates. 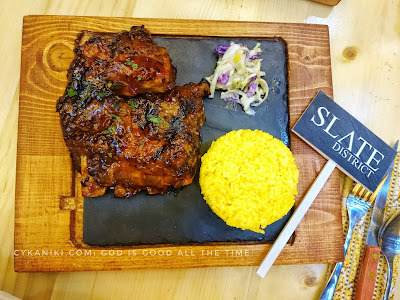 Tag them on your social media posts using the hashtag #slatedistrict.